Just an hour north of Bangkok is one of the world’s greatest ruins and a UNESCO World Heritage Site. Ayutthaya Historical Park, ancient capital of the Kingdom of Sian, is an archaeological site that contains palaces, Buddhist temples, monasteries and statues. It is one of the three remnants of Siamese Cities. The others are Sukhothai, and Lopburi. The grounds were still damp when we arrived in Ayutthaya and the sun was trying to pierce through dark clouds. 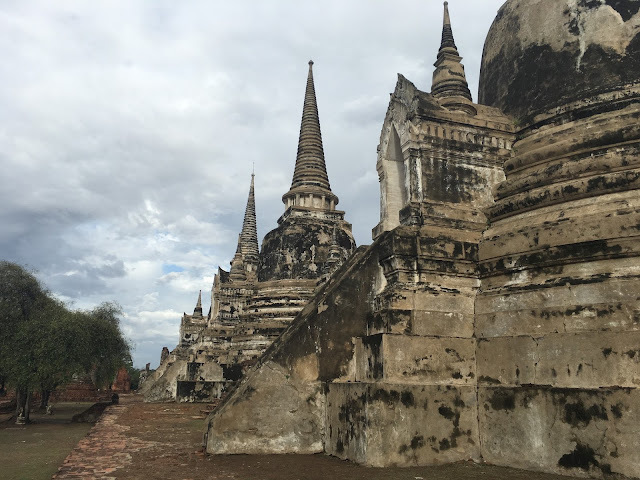 It was wonderful that the rained stopped as soon as we arrived in Ayutthaya. Well, we didn’t have good lighting for our photographs but we didn’t mind so much, we were there to wander and wonder. It was also good that it rained because I like sleeping when it rains. I needed to rest after a whole morning of temple hopping in Bangkok City and partying in Khao San Road the night before. It also helped that the van we rented was so comfortable. After purchasing our ticket, 50 baht each, we each headed our own way. We all went there for the same reason, to temple hop of course, but we each had our own way of exploring. 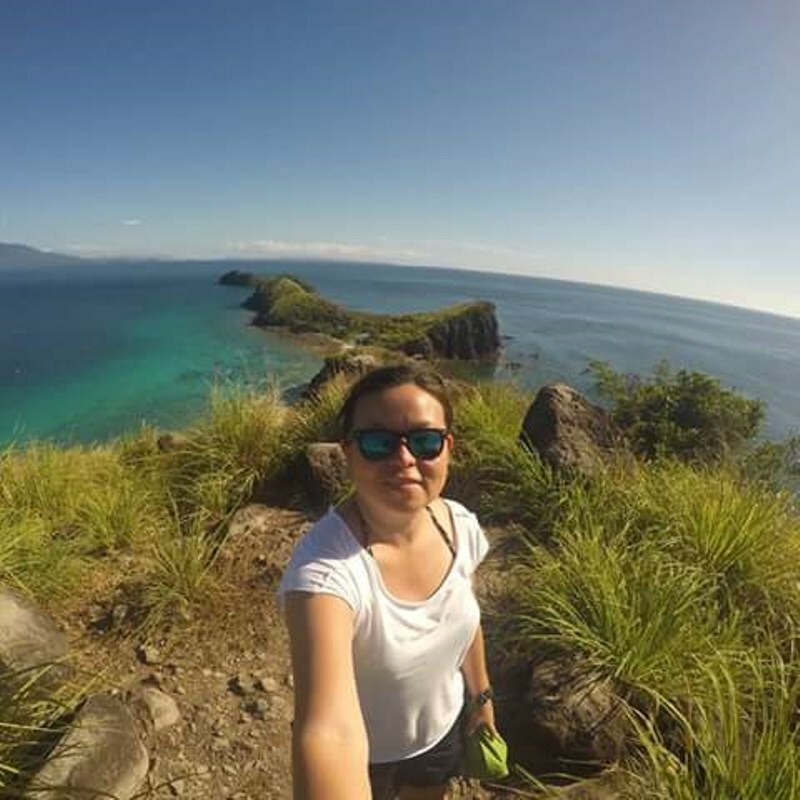 There were very few tourists and guards when we visited, so it was like stumbling upon an ancient city, with my mind constantly and unobstructedly imagining how glorious it must have been during its prime. The only things (or creatures) competing for my attention were the dogs, the raccoons and the birds, which have chosen the site as their homes. 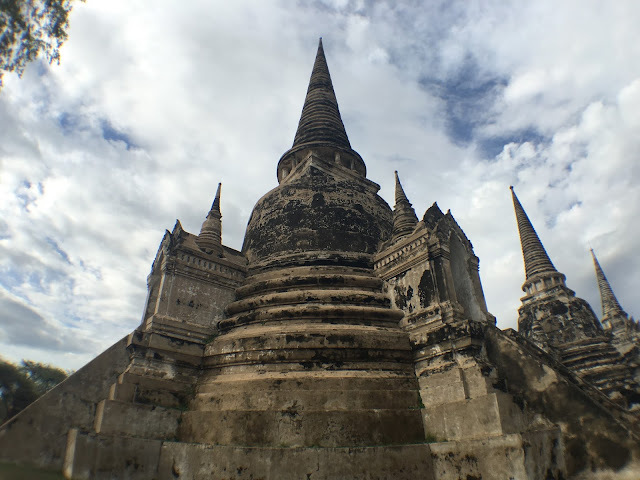 We visited three sites - Wat Phra Sri Sanphet, Wang Luang and Wat Phra Ram. 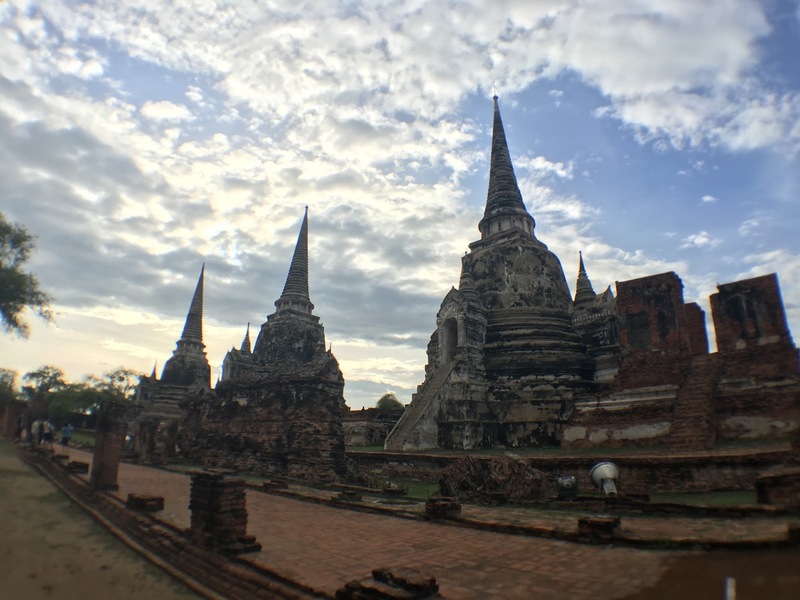 Wat Phra Sri Sanphet was the most important and the holiest temple of Ayutthaya and is situated within the Royal Palace grounds. 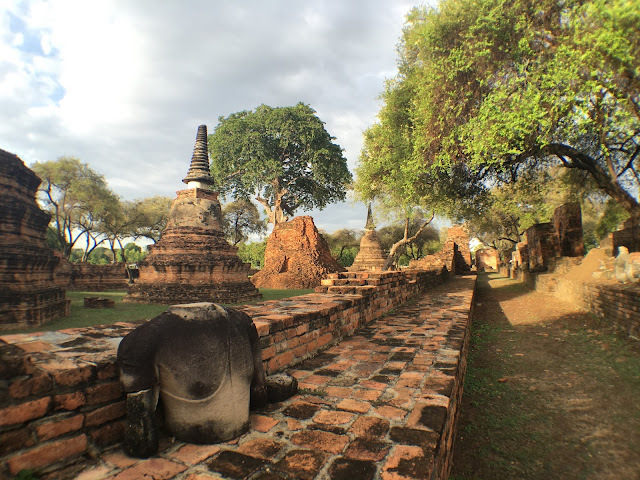 Its three magnificent stupas are among the most iconic images of this ancient city. 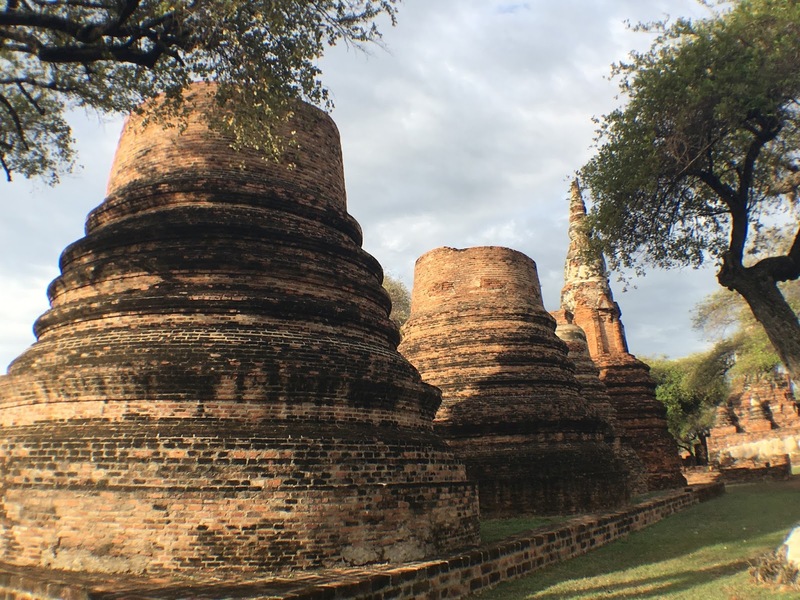 The three stupas held the remains of various kings of Ayutthaya. A number of smaller chedis were also built around to hold the ashes of other members of royalty. The temple was also the model for Bangkok's Wat Phra Kaew and Royal Palace. 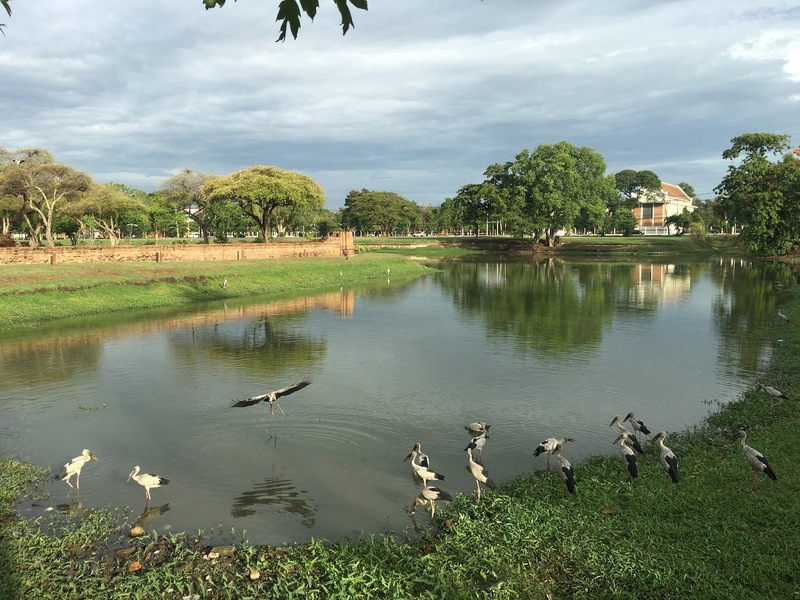 North of the temple is the remains of the Wang Luang of Royal Palace. Not much can be seen today though. This is what war does. Near the Wat Phra Sri Sanphet and the Wang Luang, situated in a swampy area, is Wat Phra Ram. 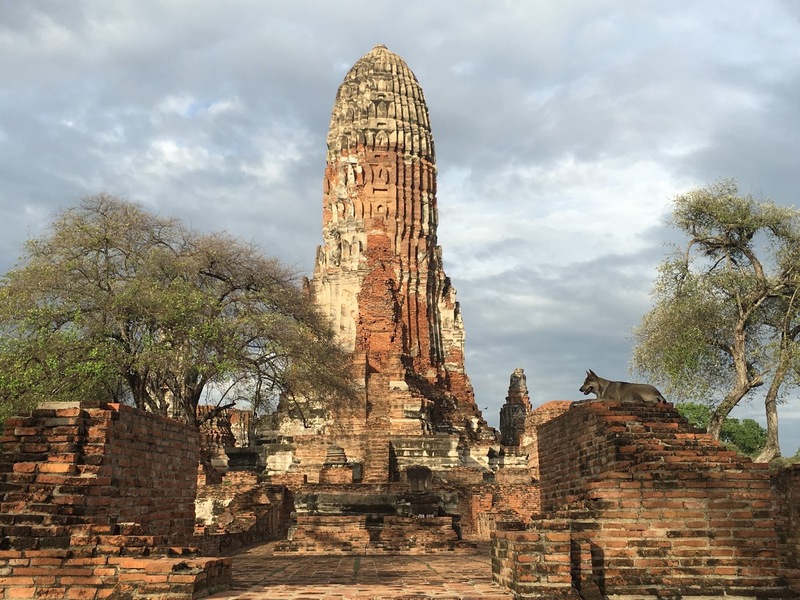 It was built in 1369 on the site of the first Ayutthaya king’s cremation. It was restored in the 15th century. We paid an additional 50 baht for the entrance. By the time we reached this site, the lighting was much better so we had better pictures. We didn’t have time to explore the other sites because we had a train to Chiang Mai to catch. As soon as we rode our van, it rained hard again and we felt how blessed we were to be allowed by the gods that brief journey back its grand past.